To listen to the Honey Dewdrops' Tangled Roots, one would think they lead a somber and melancholy life. The opening track, "Same Old," captures the monotony of daily life and a hint of wanderlust. "Young," my favorite track, reflects upon what happens when all your friends start "growing up" around you, and the sense of isolation we share in the Internet age. "Loneliest Songs" seems to speak to the quandary of the folk singer: why are all of the best songs the sad ones? Even though the songs are sad, there's an undeniable warmth and humanity that courses through them. 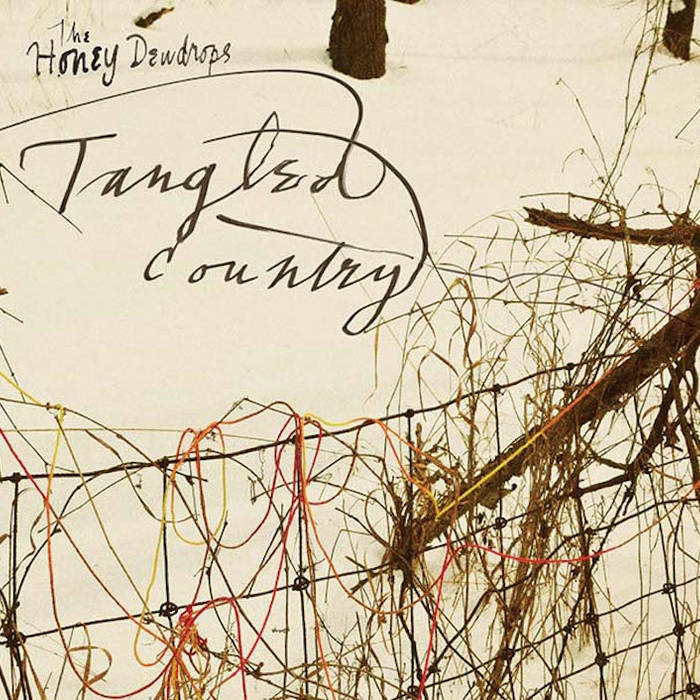 The Honey Dewdrops are a married couple, but so are lots of folk duos. This couple in particular has a chemistry that is truly rare and magical. It's one thing for two people to harmonize well (see: The Civil Wars) but it's another to combine energies and lift the song higher in the process. In this respect, the Honey Dewdrops remind me of the Indigo Girls. It's not just the Dewdrops' respect for the source material that makes them special; it's the places they take it on the strength of their own artistry.